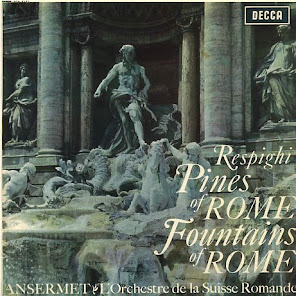 From Miles to Mozart: Mo' records! My son is just about to turn two. Since I first mentioned him in this blog (he was 7 months), he has taken a passionate liking to my record collection, which happens to be shelved in the living room of our condo and well within his reach. Until only about a couple of months ago, I had to make it clear to him that the records were off limits. "No touch!" I would say. His hand would quickly dart away from the plastic sleeve which he had just touched. A mean daddy? Well, I had to take defense shortly after he became intelligent enough to pull dozens of records off the shelf and I'd find them littered across the floor. He's a little older now and knows that records belong to Papa, but now since he loves to listen to and dance to music, I let him play a game in which he gets to pick out records that we listen to. This game begins upon awakening and ends right before his bedtime. I joked with my wife the other day that this boy may love his Mama more than anything on this planet, but even his love occasionally gets trumped by his joy of picking out a record from the shelf. She wasn't a big fan of that, but I think she knows that I'm right. I'm pretty sure I bought this at Joe's Record Paradise in Silver Spring, MD in 2001. I just checked the internet, and thankfully, this store is still in business! When I first got into collecting records in 2001, I started with jazz, and this was one of the places I'd go to find reasonably priced albums. 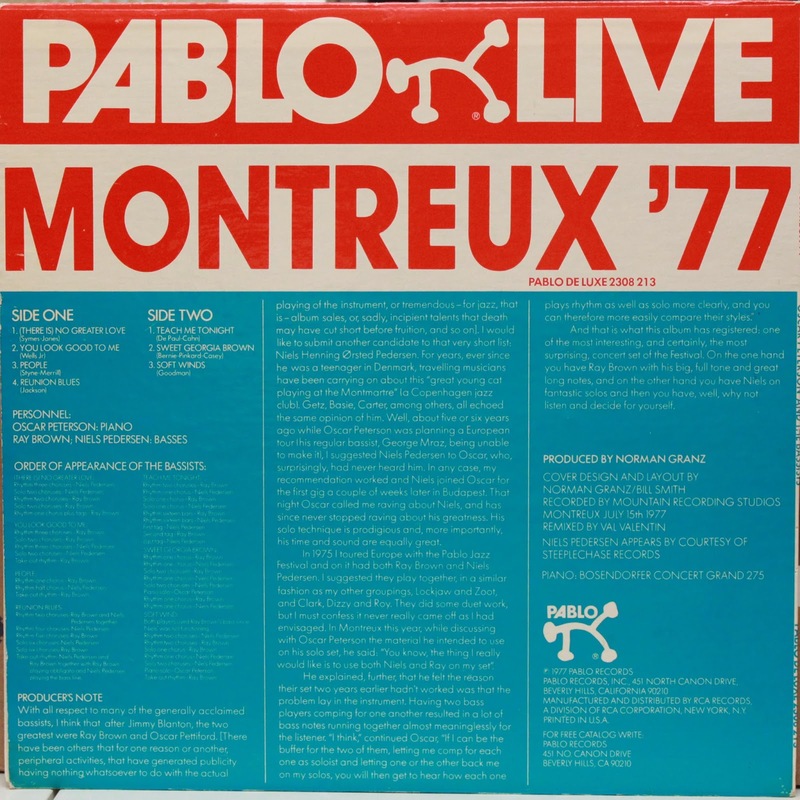 They had a bunch of albums selling for less than $10 a piece in their jazz racks, and this was one of them. 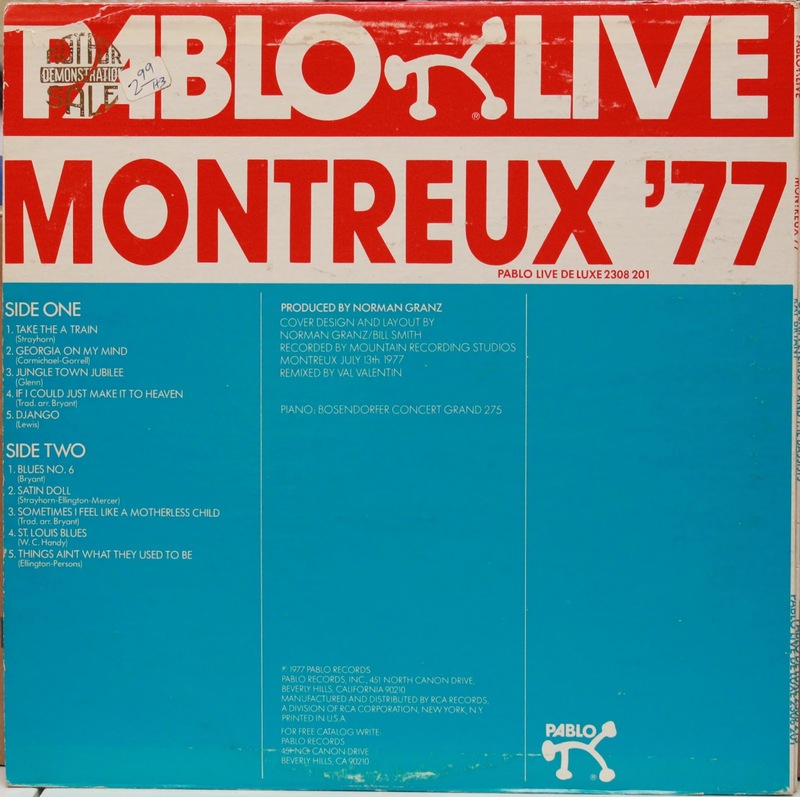 The "more collectable" jazz albums were kept in a stack behind the cashier. 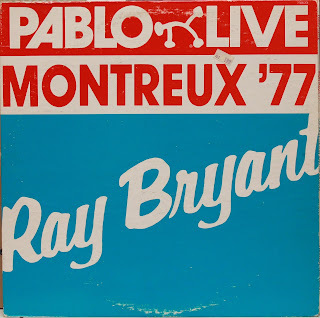 Ray Bryant was a really soulful, bluesy jazz pianist. 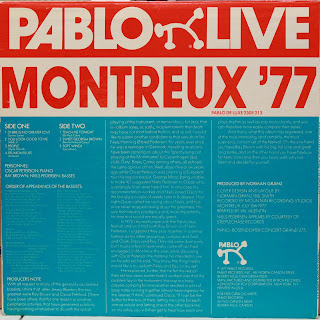 While his early Prestige mono LPs sell for hundreds of dollars in mint condition, I actually have taken a greater liking to these later live albums on the Pablo label. 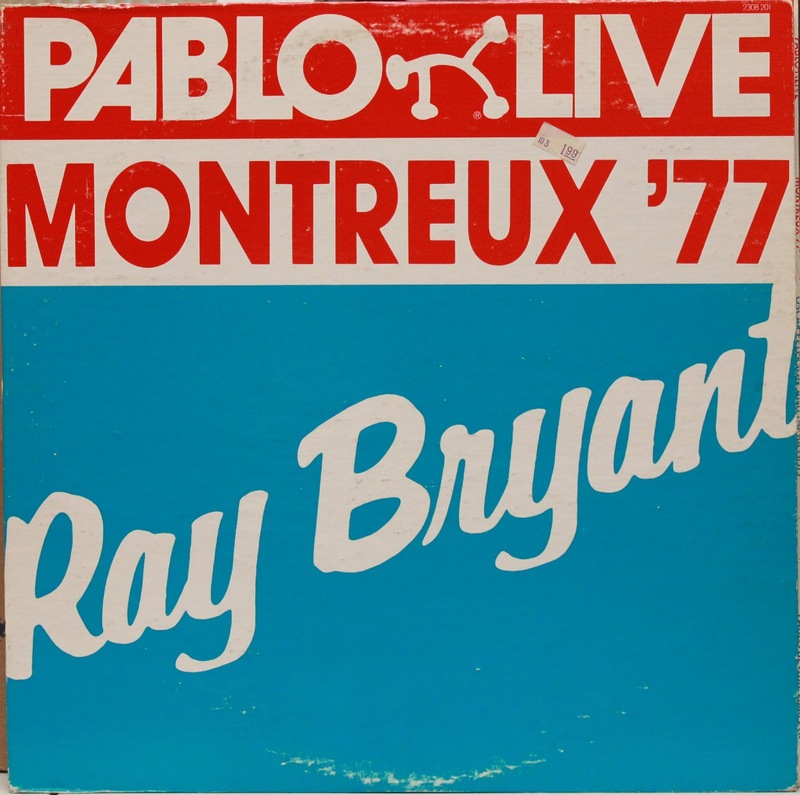 Bryant did some great work in live performance, and this record captures the essence of that. The recording is up close, so you can really feel the weight of the piano keys. Bass is quite good for solo piano, in my opinion. All in all, this is a very enjoyable album, and it's not surprising that my boy appreciates it. I must've picked up this record at either a used record show or at one of the record shops in Chicago in the early 2000's. The ones I would frequent on my weekends off in med school were Hi-Fi Records in Lincoln Park (now closed), Dave's Records in Lincoln Park, just a block away from Hi-Fi (YES! Still open! ), and the few chains of Second Hand Tunes. 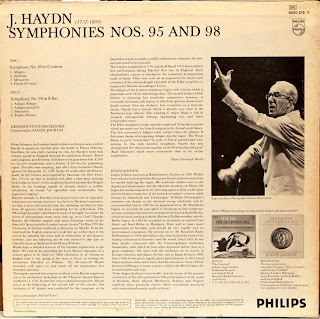 I remember that I once had the opportunity to scour the basement of Hi-Fi which was where they dumped all the classical LPs which were not shelved in their racks. There were thousands of 'em. I must've spent a least a couple of hours down there sifting through them, but sadly, there were few gems. Mostly late label Philips, DG, etc. I may not have known as much about labels then, though, so perhaps I passed up some which I might've picked up now. When I later returned, they had disposed of all of them. What a loss. 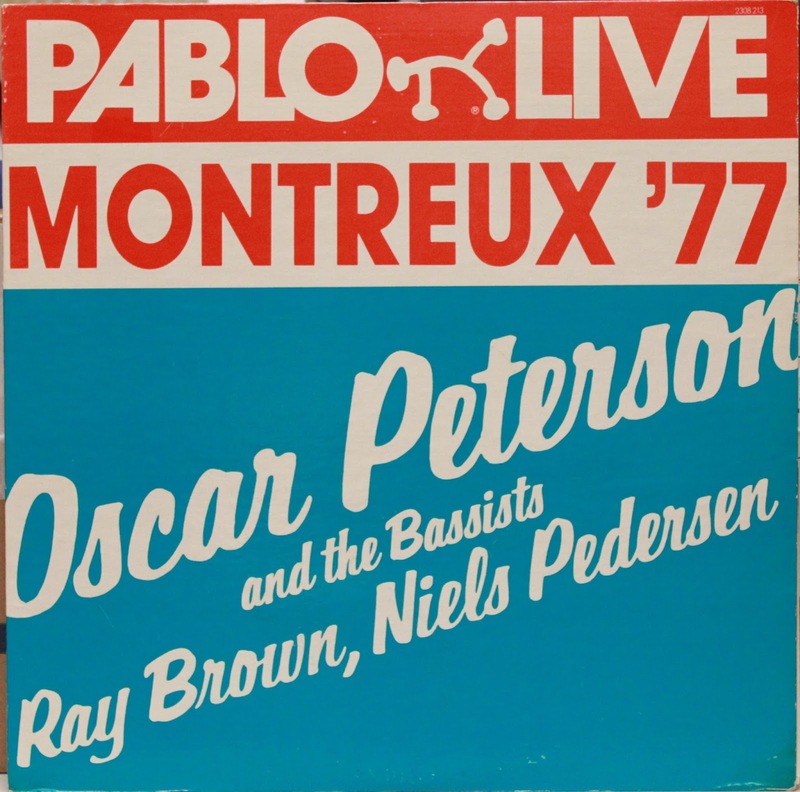 In any case, this live Oscar Peterson album is one of several which he recorded at the Montreux Jazz Festival in 1977. In fact, there are several recordings from that festival year, and many of them are very enjoyable. That must've been one helluva festival year. 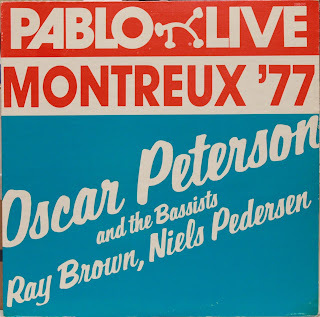 Oscar Peterson could really work some keyboard magic, and his collaborations with his trio bassists Ray Brown and Niels Pedersen were some of the most fruitful. This is a downright fun album. A variety of tunes with fast and slower tempos, all played with that characteristic Oscar Peterson sound. His flying fingerwork is off the charts. It always blows my mind how he could play all those 16th to 32nd note runs in parallel with both hands. 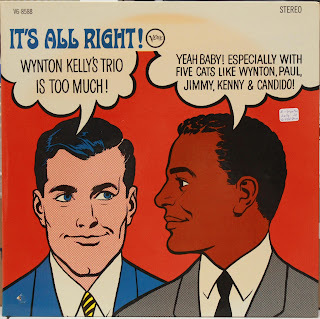 Now if there was a pianist who could swing, that was Wynton Kelly. Too short of a life, but what this cat recorded was incredible. He was one of Miles Davis' favorite pianists, and if you listen to any of his recordings as a sideman on the Blue Note label (just try Hank Mobley's Soul Station or Roll Call), you will see why. His groovin' 8th note runs just made you want to tap your feet, get up, and dance. No joke. 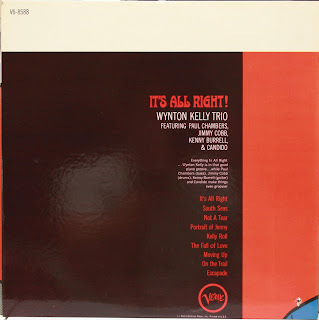 Wynton Kelly went on to record for the Verve label, and this is one of his later albums. The cover is both artistic and hilarious. I don't know if I've ever seen another jazz LP cover with a comic strip on its front. The tunes swing and have downright soul. 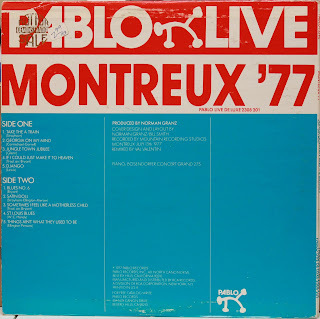 Add Candido on the congas, and you have some groovy beats. My son pulled this out for me to play tonight for the umpteenth time, and as soon as I dropped the needle on the first track, he was dancin'. 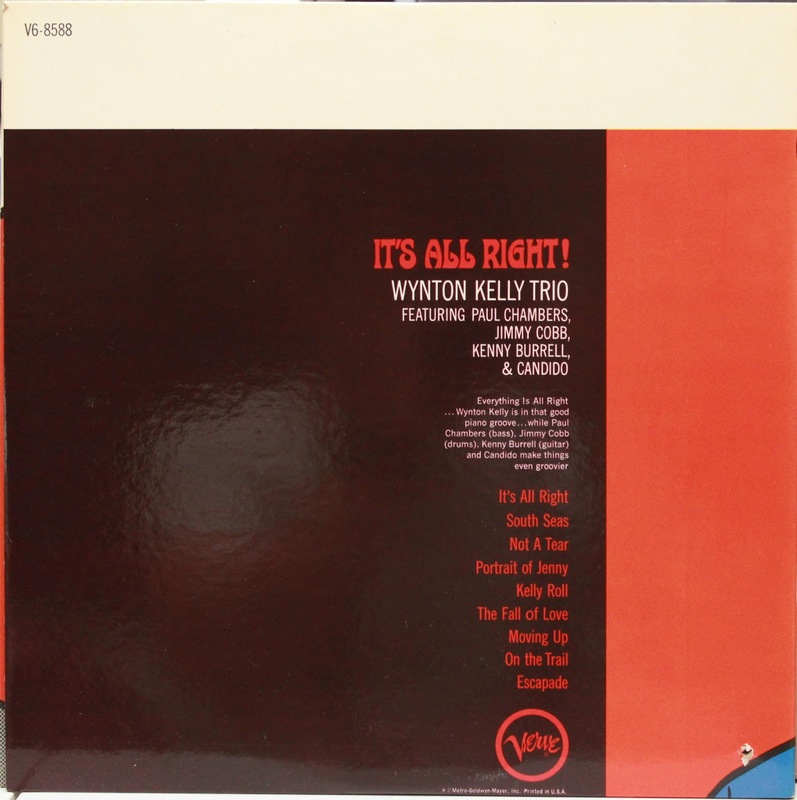 Okay, maybe it's not pure coincidence that the three jazz albums all have red, white, and blue covers. They stand out among the sea of cream or white colored LP spines, so maybe that's another reason why he gravitates to them. 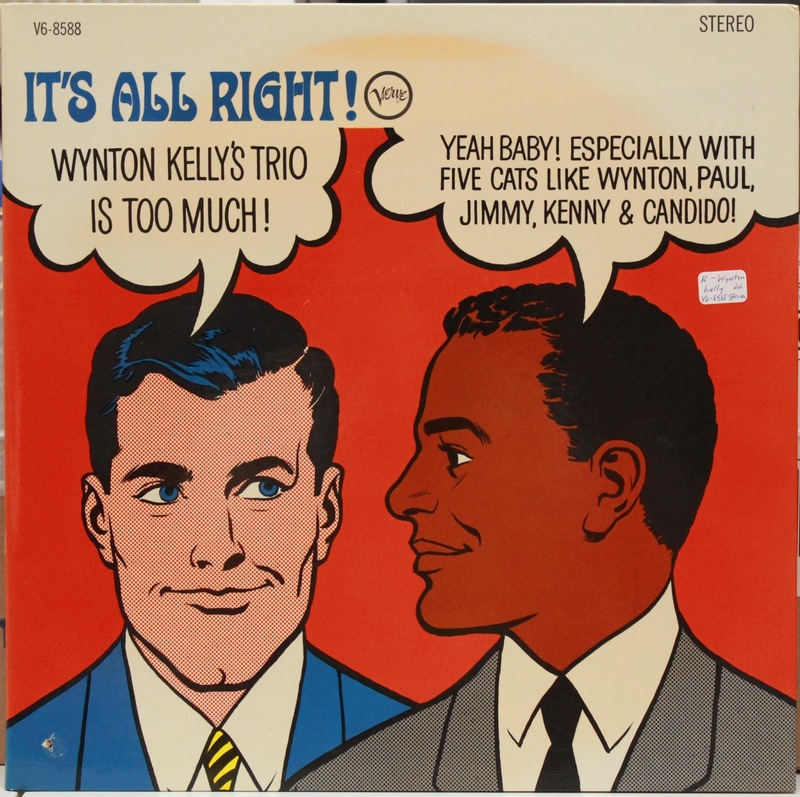 I think it's more than that, though, since he seems to really dig Oscar Peterson and Wynton Kelly. 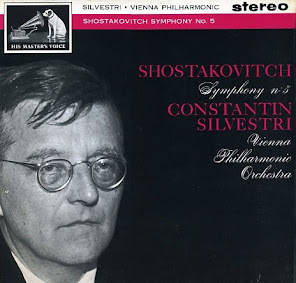 Then one day, my son goes through the classical shelf and pulls out this! "Man!" 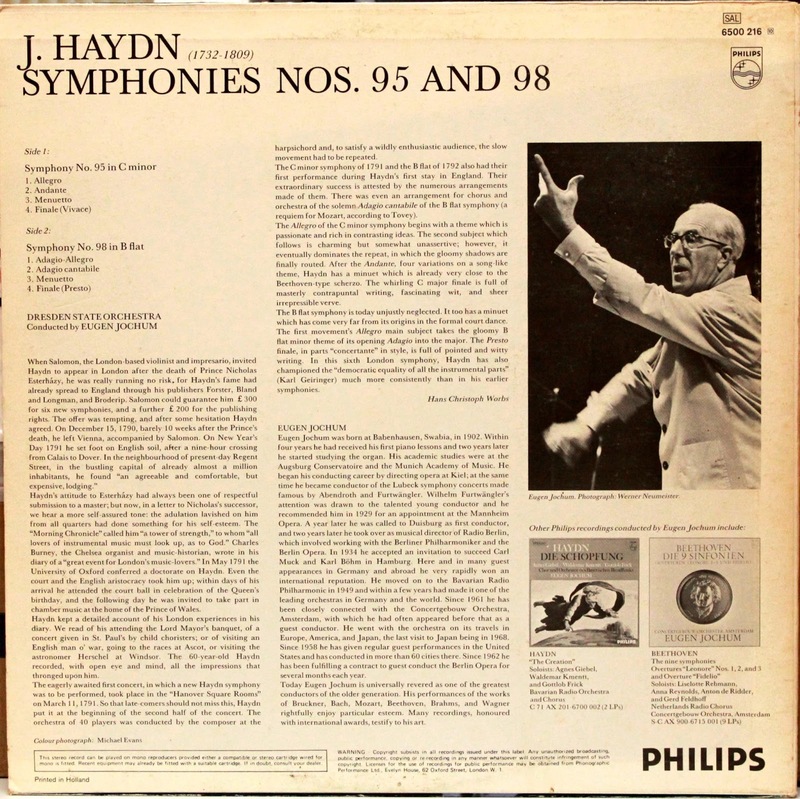 he says repeatedly, pointing to the picture of Haydn on the front cover. To this day, this album is called "Man!!". This is to distinguish it from the adjacent Dean Martin Latin album, which he calls "Cha-Cha Man!". 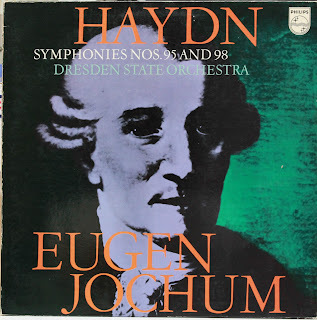 Eugen Jochum had already recorded the 12 London Symphonies with the London Philharmonic Orchestra for Deutsche Grammophon when he re-recorded four of them with the Dresden Staatskapelle for Philips. 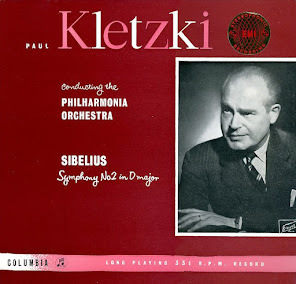 These recordings were highly praised by David Hurwitz on Classics Today for their vitality and energy. 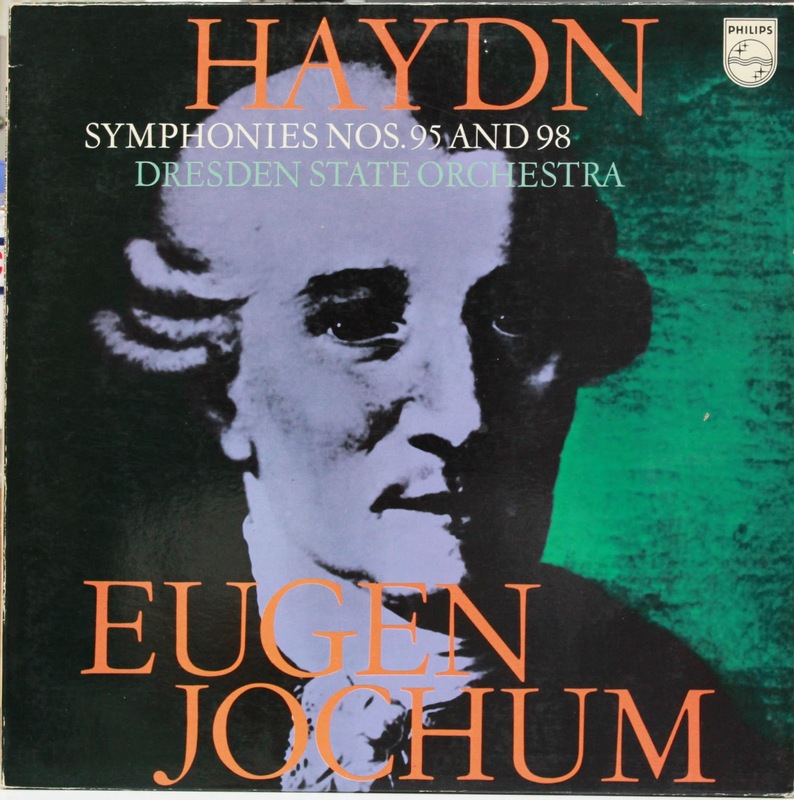 There is a CD reissue which is damn near impossible to find (at an affordable price at least) on the Berlin Classics label. I managed to find this $3.99 LP at Store 54 in Allston, MA. It's not in perfect shape and has a couple very small scratches which click, but my son and I can still enjoy the album. 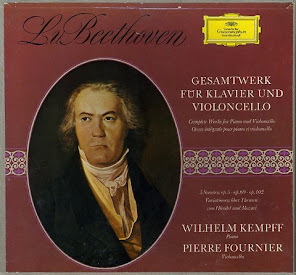 Actually, I think he is just fascinated by the picture of Haydn on the front cover. I almost forgot to mention that there are threee others he always pulls out but are not pictured here. 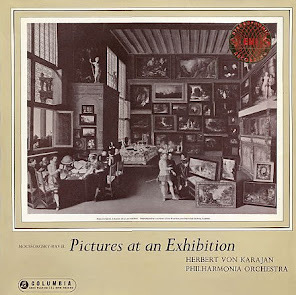 One is the boxed set of Karajan's recordings with the Vienna Philharmonic (Vienna Philharmonic Festival), an RCA shaded dog set with symphonies by Mozart, Haydn, and Beethoven, as well as an LP of Strauss. 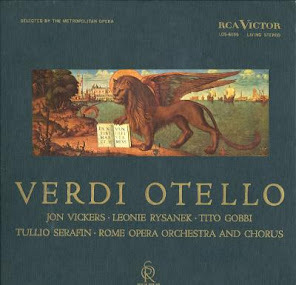 The second is the Soria box set of Antonio Janigro and Fritz Reiner performing Don Quixote on RCA. 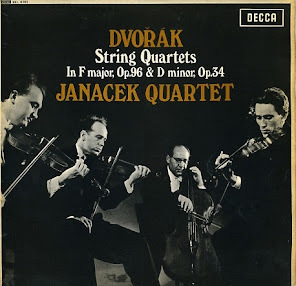 The third is the Classic Records reissue of the Mercury boxed set of Janos Starker performing the Bach Cello Suites. What taste!